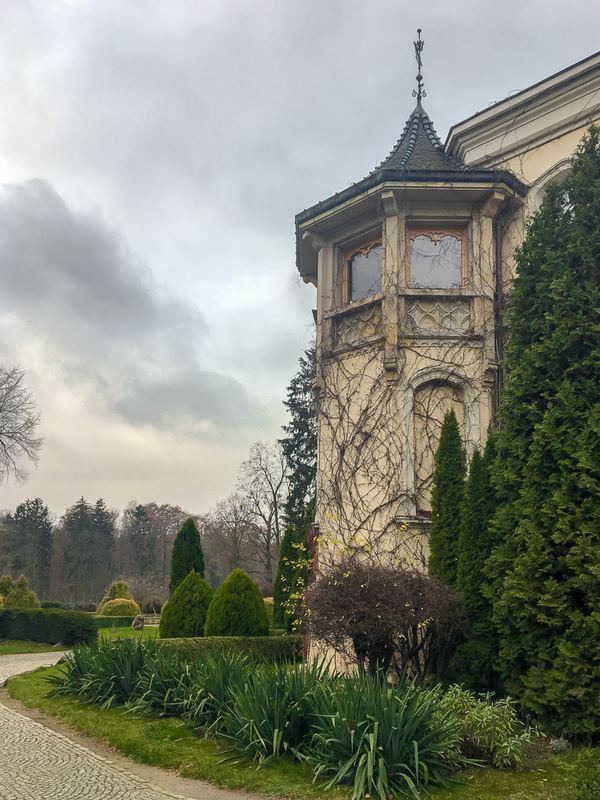 I spent the last month on discovering places I have always been really keen on exploring – the palaces, castles and villas converted into hotels! 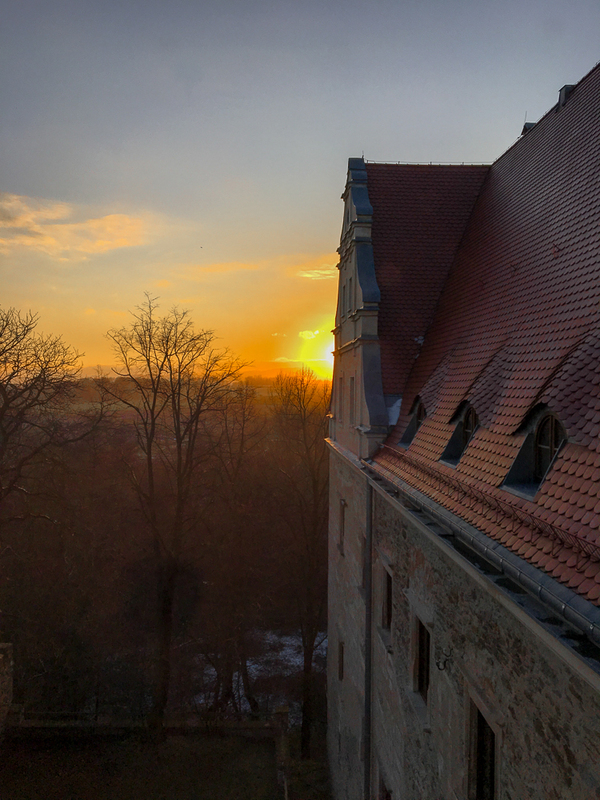 This is something Lower Silesia is known for – did you know that this particular region of Poland holds the biggest amount of historical palaces in Europe, and is also called the Valley of Palaces? It is not only an incredible experience,but a tribute paid to the history. 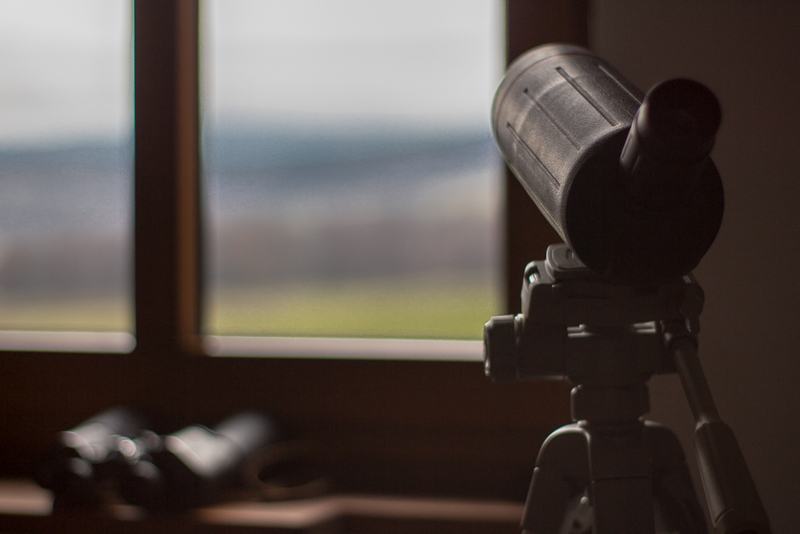 I picked all the places I am presenting today myself – they are situated in different parts of Lower Silesia and all offer a unique experience. Luxurious, mysterious, beautiful and sophisticated. Enjoy the article! 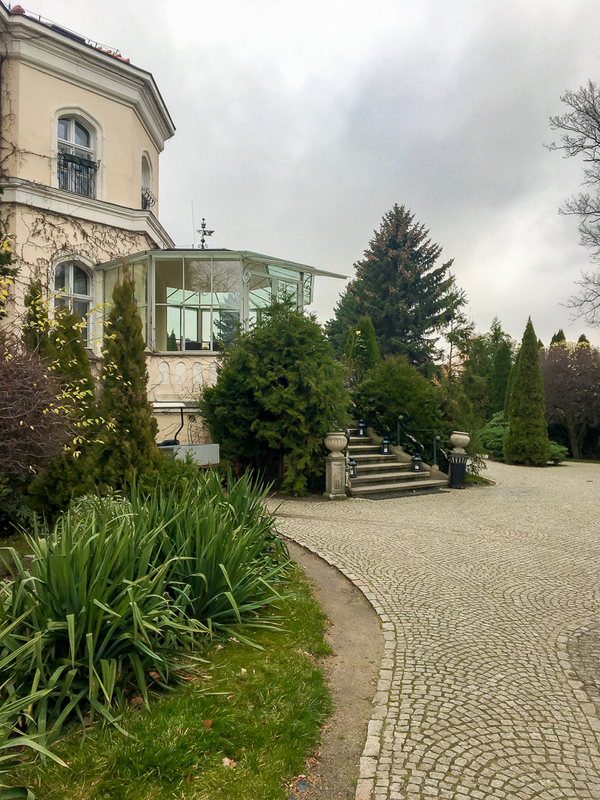 Classy, romantic and peaceful – those are the best words to describe The Brzeźno Palace, a 19th century historical venue. 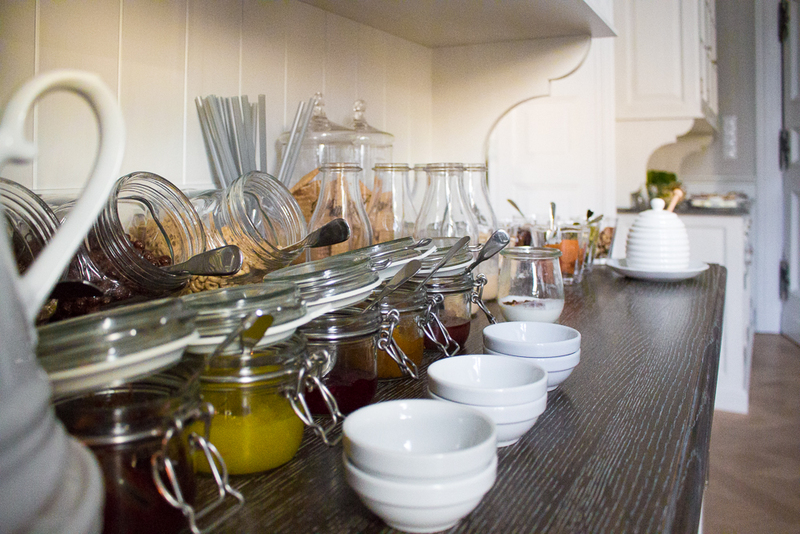 It was bought and adapted for its ‘second life as a hotel‘ back in 1999 – the venue has been renovated, equipped with historic furniture and perfectly arranged. 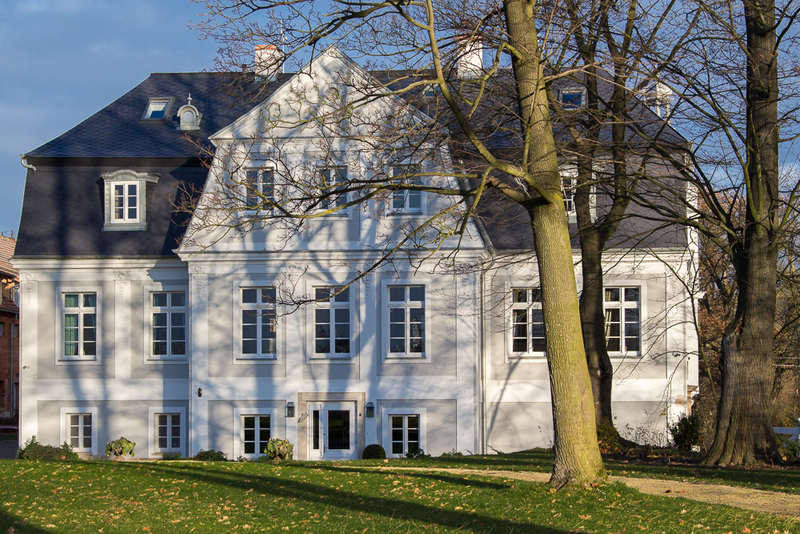 Palace Brzeźno is a historical palace converted into a luxury hotel with SPA and Golf complex. The place is located in Lower Silesian part of Poland, only around 30 km from Wroclaw. Not only the location makes it a perfect headquarters for the conference center, but it also remains a great escape for people seeking for a hint of luxury and a peaceful time. 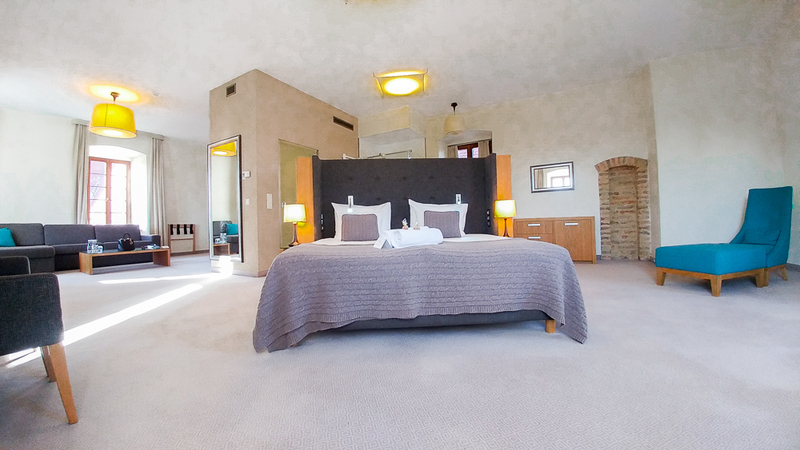 Brzeźno Golf & SPA offers cozy rooms and apartments in a Palace, The Club House and The Pond House. What is important to mention – the pets are welcome to stay with their owners! 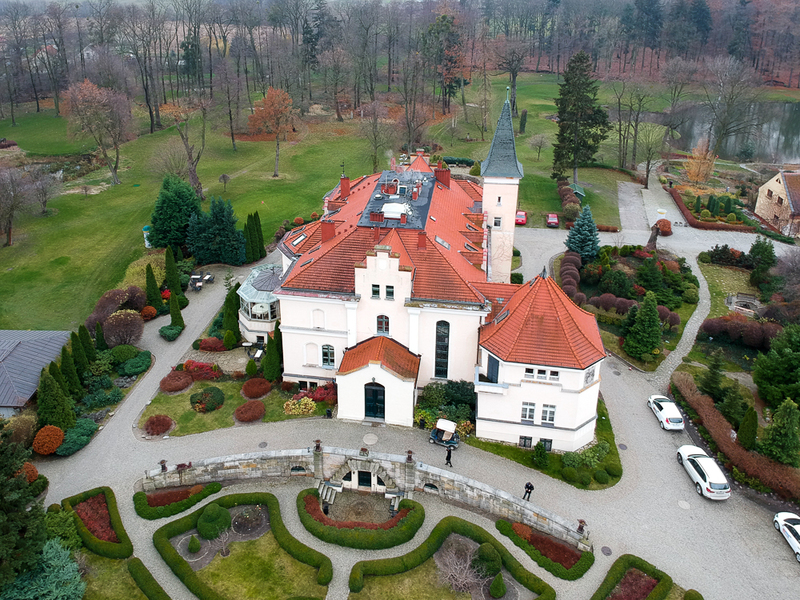 The Brzeźno Palace offers the whole variety of sport activities, such as golf course, fishing, tennis and bicycles. You can also get lost in their beautiful garden area – my personal favorite feature of this place. 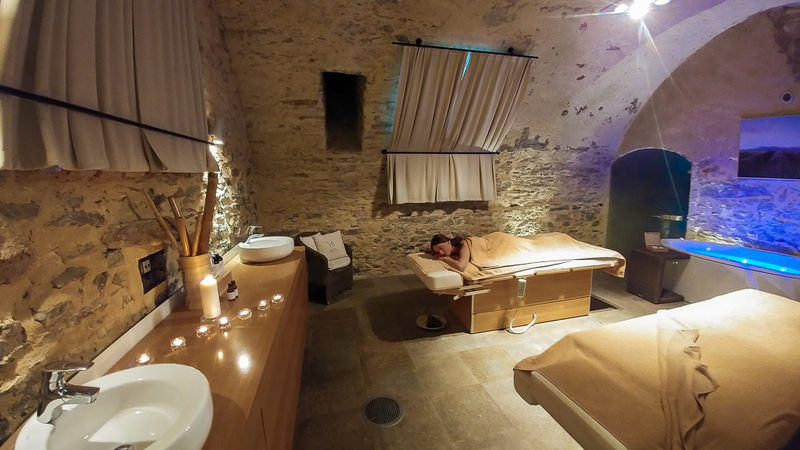 For the ones looking for SPA& Wellness, the list contains of not only massages and treatments, but also unique wine- and beer baths as well as salt graduation house. The Palace makes a great conference center. 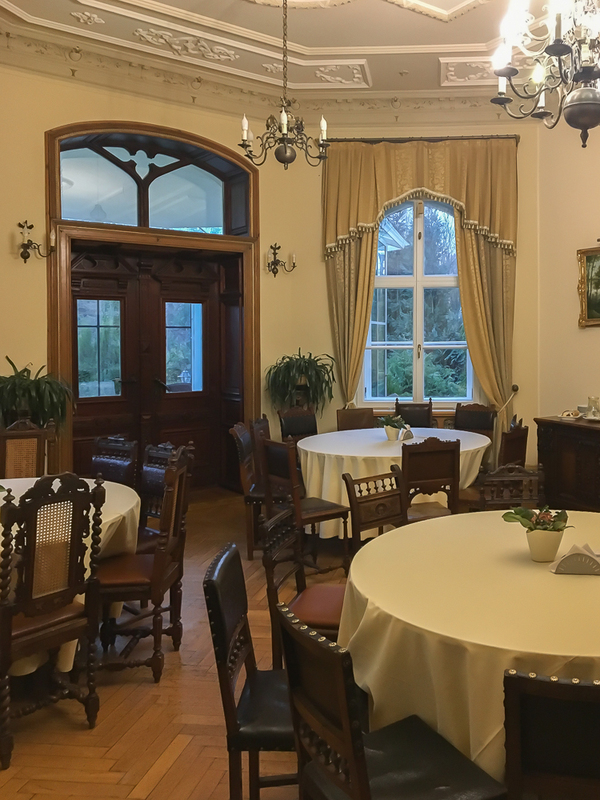 There is everything a business meeting needs, from a conference and a meeting room – all decorated in a 19th century style, with some authentic elements, such as furniture. Kamieniec is a small village, located in Kłodzko-Valley. 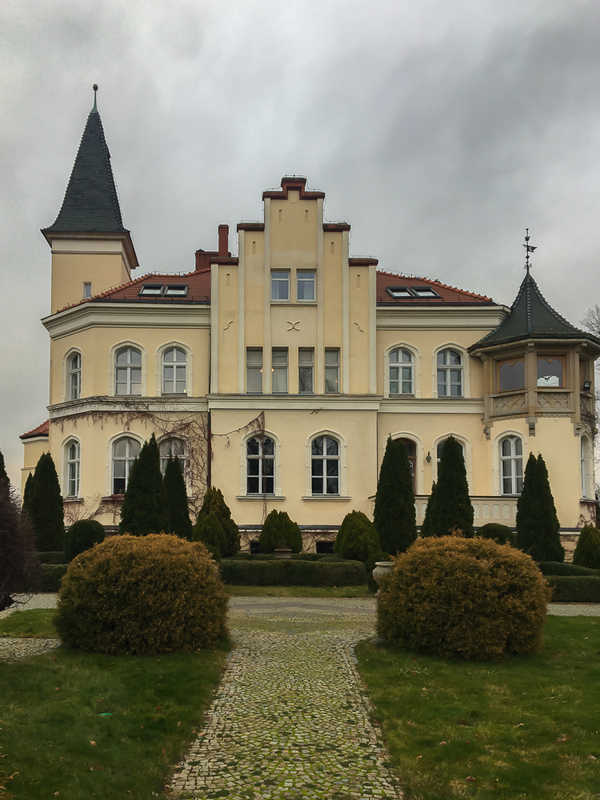 The Kamieniec Palace, an 18th century venue, stands at the edge of the village – it seems hidden, even a bit ‘forgotten‘, which makes it a perfect destination for a peaceful escape. The Palace was originally built by Earl von Hartig in the 17/18th centry. After the Second World War the owners, Seher-Thoss family, abandoned the residence and left it forgotten. It was brought back to life in 2009 and opened as a luxury hotel in 2014. 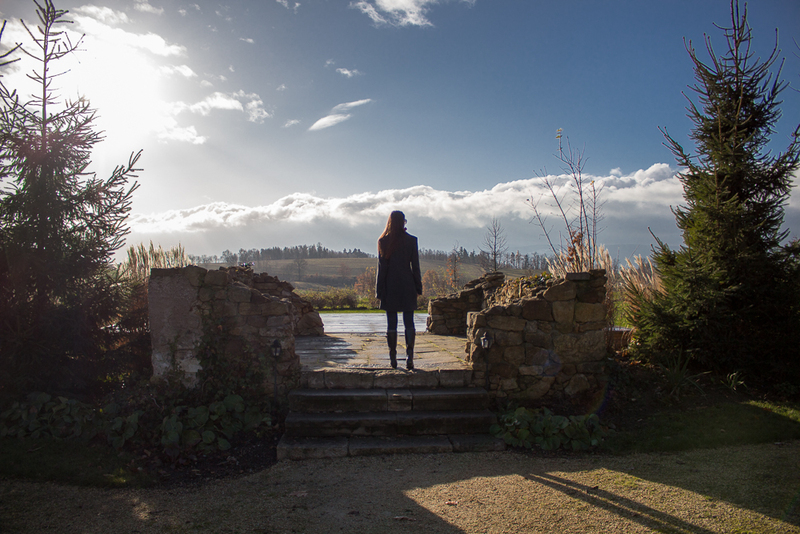 Are you in search for a luxury retreat and a little break from the city? 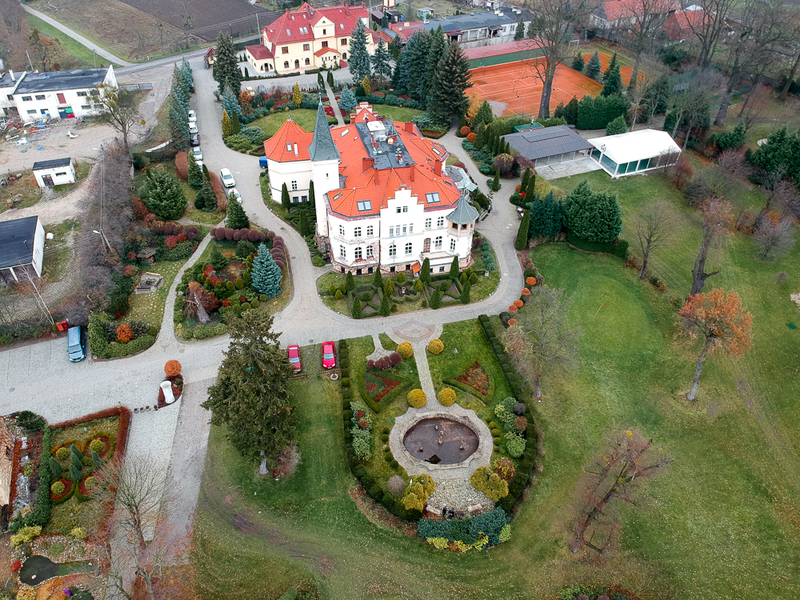 The Kamieniec Palace is a perfect place for you. 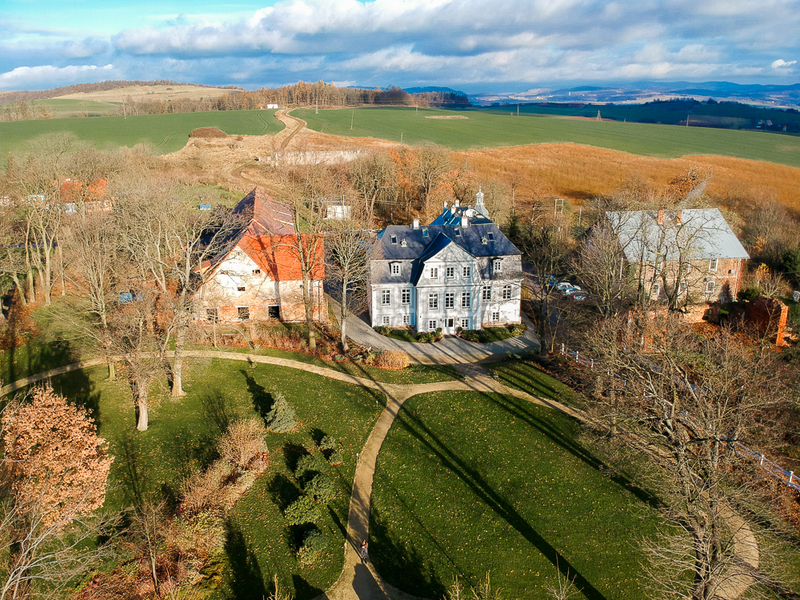 The residence is strategically situated amid fields on a hill with one of the most breathtaking views of Kłodzko Valley – Śnieżnik Mountains, Stołowe Mountains and Czech Orlicke Mountains – not too far away for skiing, hiking and cycling. 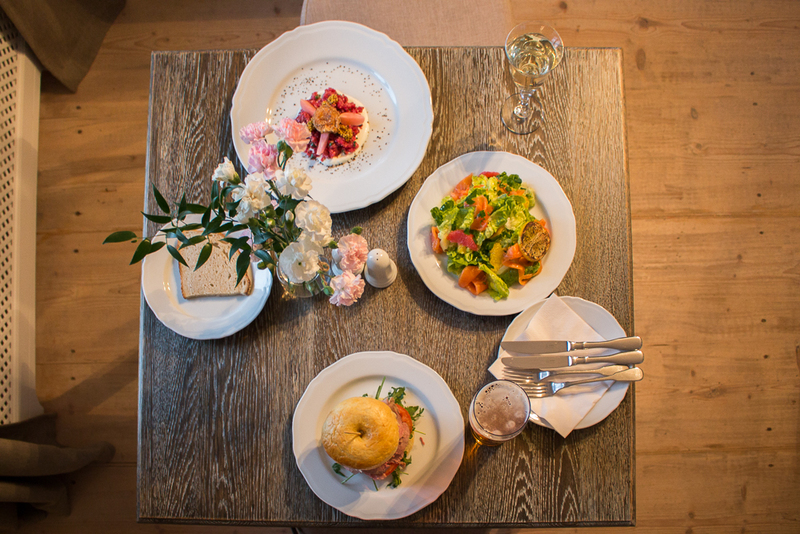 The restaurant serves some national Polish dishes, such as pierogis, as well as some sophisticated and distinguished meals, such as sour tomatoes soup or a beef tartar with breaded egg. The Palace was recreated on the basis of archive pictures form the 19th century, which is to be seen everywhere on the premises. The rooms are so distinguished that it really does make you feel like you are in the Baroque era. 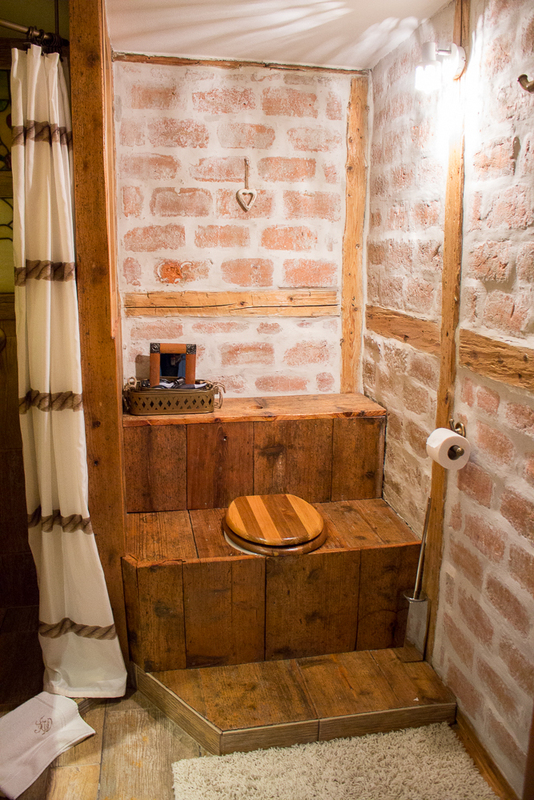 Muted colors, wooden furniture luxurious bathroom could be everything you would need to just have a little battery charging time. 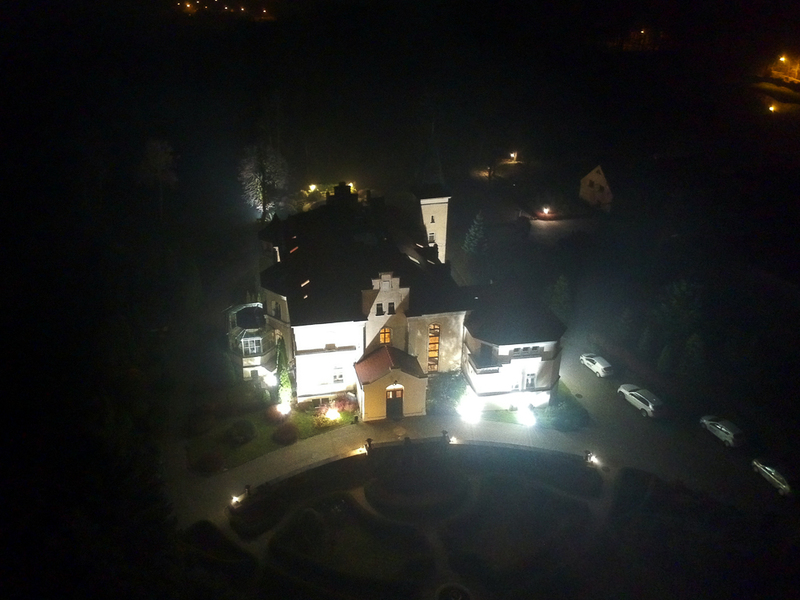 Folwark Wrzosowka – a luxury house, where you can turn yourself off in the middle of the mountains, among the Palaces and Gardens Valley. 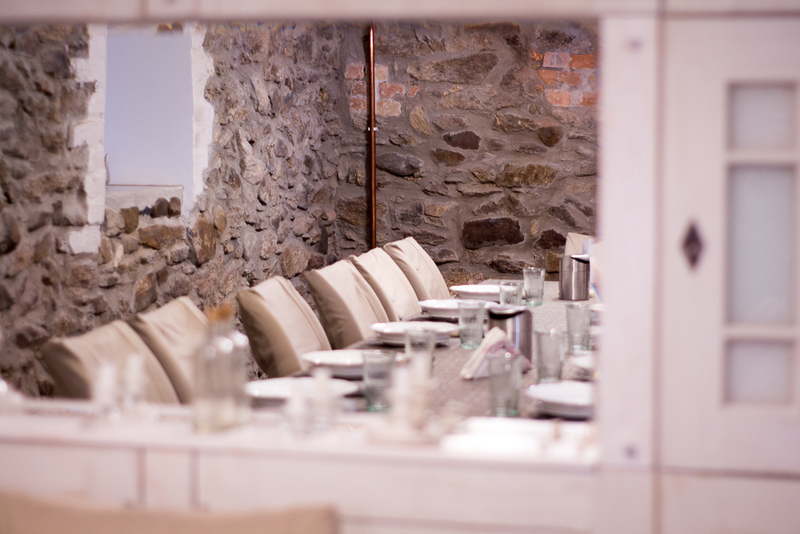 The venue is a newly renovated, designed for people to have an extraordinary time. 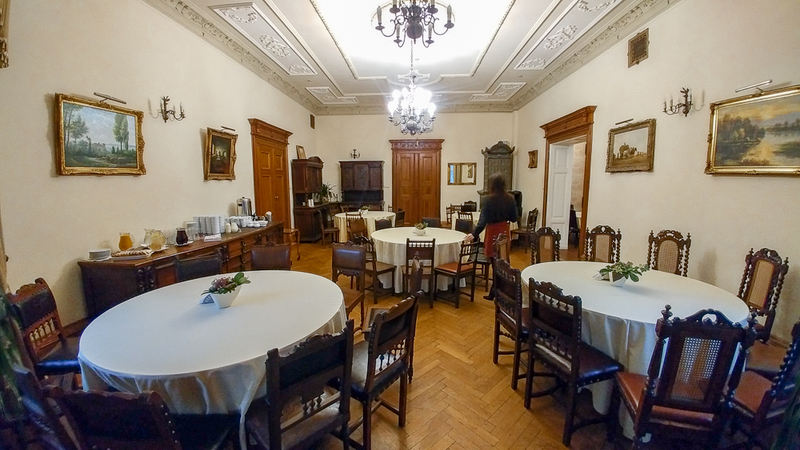 Folwark Wrzosówka offers vacations, winter breaks, festive season deals, special events, such as hen parties, birthdays and cooking masterclasses and courses. 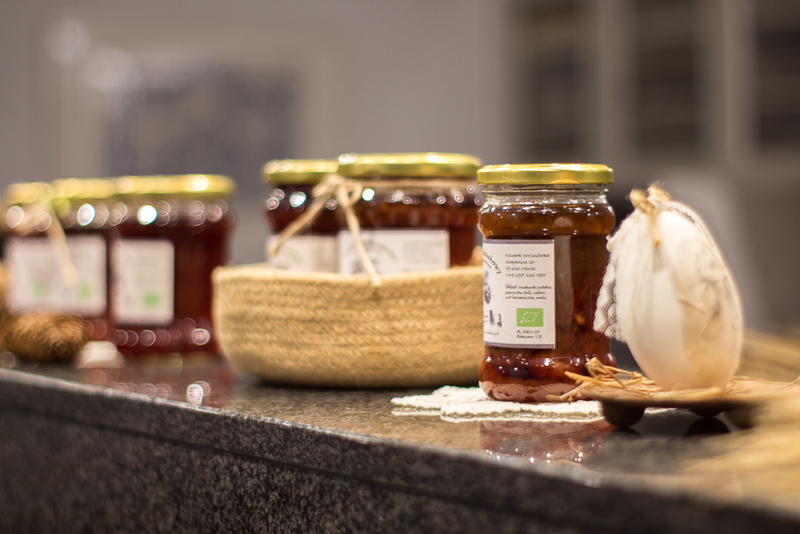 By cooking course they don’t mean an ordinary class, but a different approach to the cooking manner, with a different theme every season – in January, for instance, you will be able to master the lamb dishes. Their food offer contains of fresh fish, meat and delicious beverages, but I was under impression of preserves. Radish in white wine, asparagus in white wine, strawberry jams with balsamic vinegar, white chocolate, pepper or chilly – only a few positions out of what you can get. 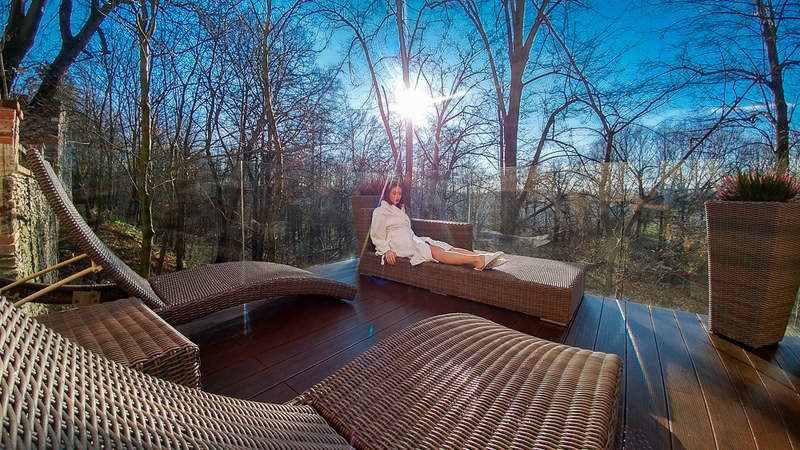 Staying at Folwark Wrzosówka means several attractions, such as quads, fishing and SPA activities including sauna, treatments and a jacuzzi with a view. Every room is very cozy and each every one of them decorated in a different way, which means all of them have a soul. 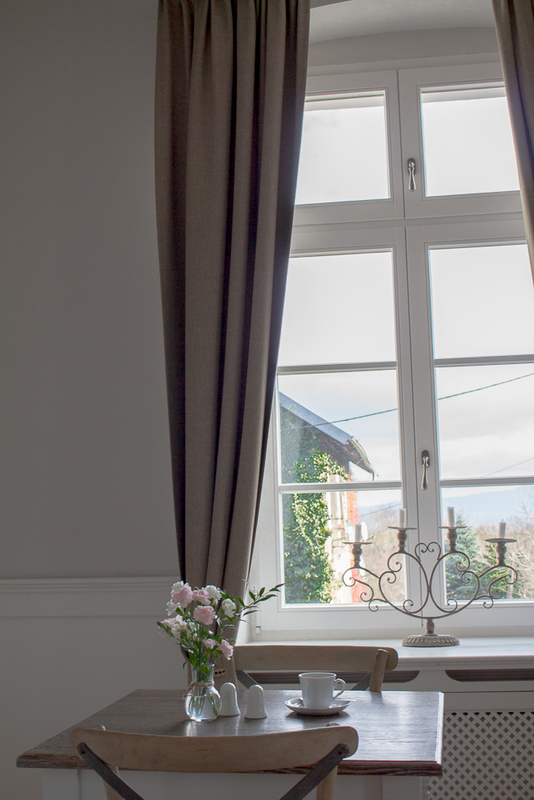 Folwark Wrzosówka offers 2 rooms, 3 apartments and a massive shared space – it will never be crowded. Folwark would also make a perfect headqarters in both summer and winter. 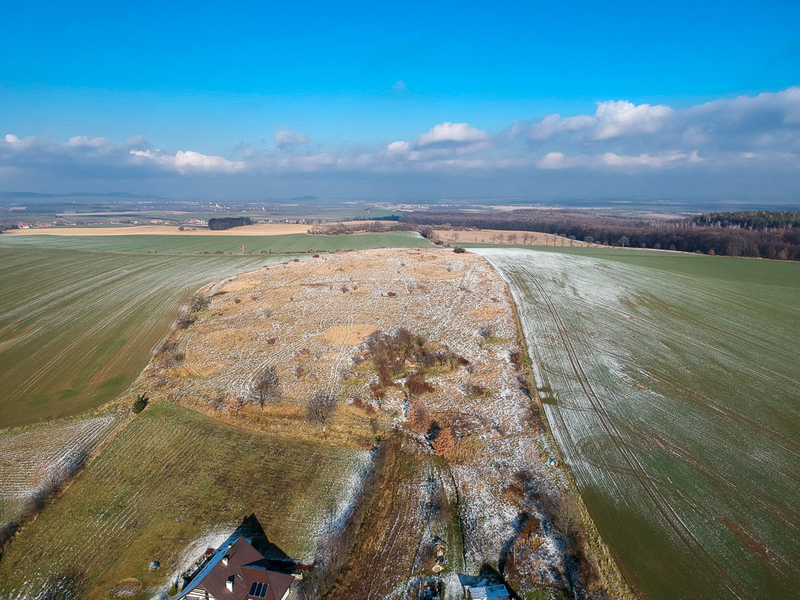 SKI slopes in Szklarska Poręba and Świeradów Zdrój are only a stone’s thow away, while in the summer you can enjoy mountains with a bit of sight seeing, as the surrounding are full of historical castles ( Czocha Castle of Chojnik Castle). I already mentioned the place in my article from October (click). The place with such an incredible past, reaching back to the 16th century. 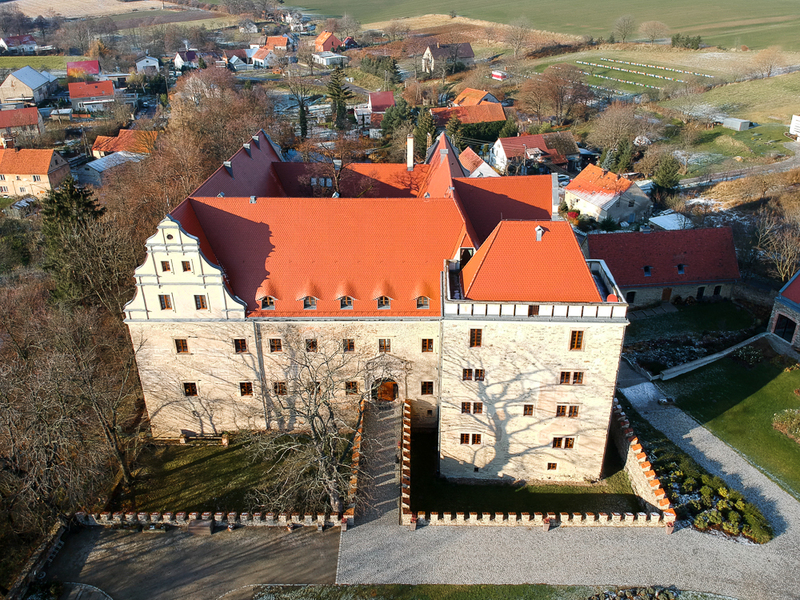 Uroczysko 7 Stawów is a luxury SPA hotel built into an old castle – a combination of a modern luxury with Renaissance architecture leaves you speechless. The venue is placed around 40 km from Wrocław Airport and around 3/4 hours driving from Berlin. 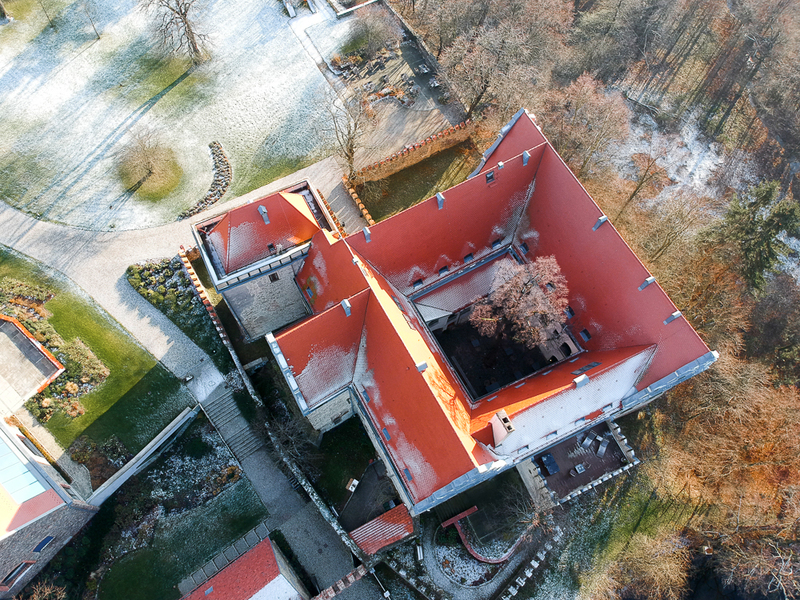 The castle is situated in Gola Dzierżoniowska, right on the hill of a historical park among seven ponds. Destipe the fact that the place is very luxurious, the atmosphere remains homey. The staff is very helpful in explaining about the history and the hotel’s facilities. 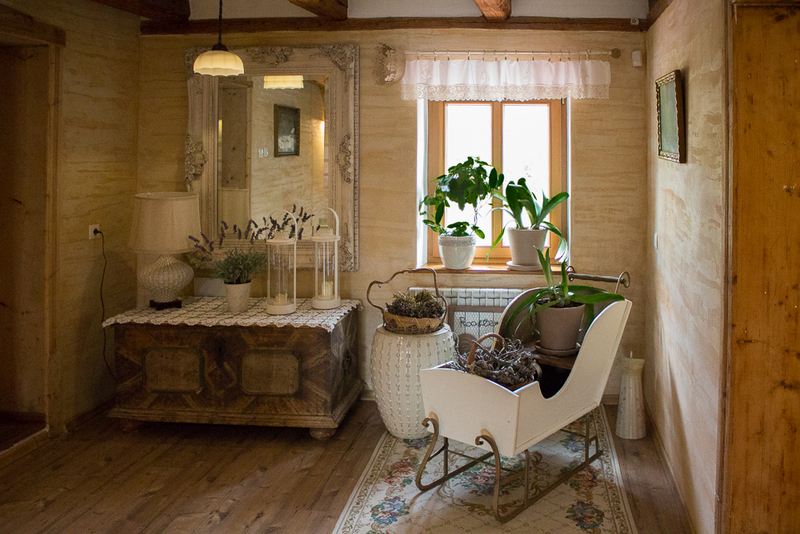 The historical interiors of Uroczysko 7 Stawów is home to the first model SPA by L’Occitane in Poland – created in collaboration with the French luxury cosmetic brand L’Occitane. 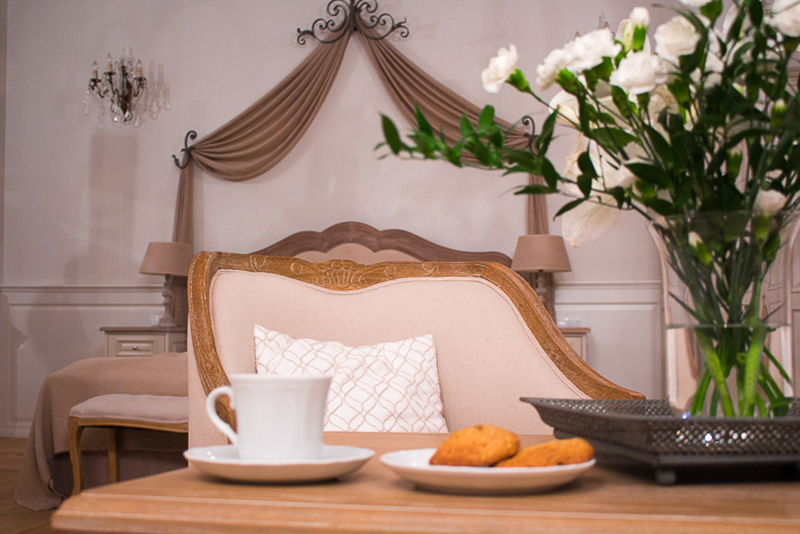 The guests can choose from the whole variety of professional treatments, including VIP treatments for couples. 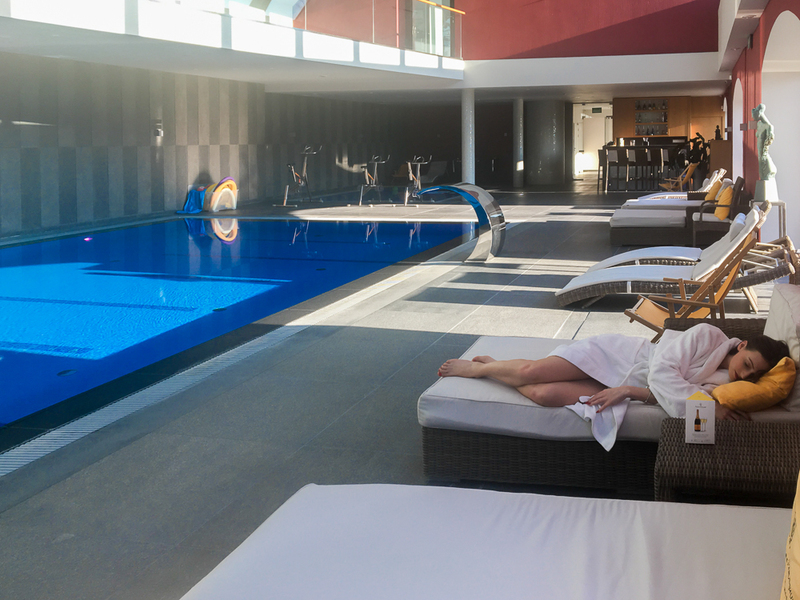 Apart from that, the hotel owns a wellness space with 18-metre glass encased swimming pool featuring the view of the castle’s premises. The hotel guests can also enjoy from various sport activities, such as cycling, Nordic walking or fishing. 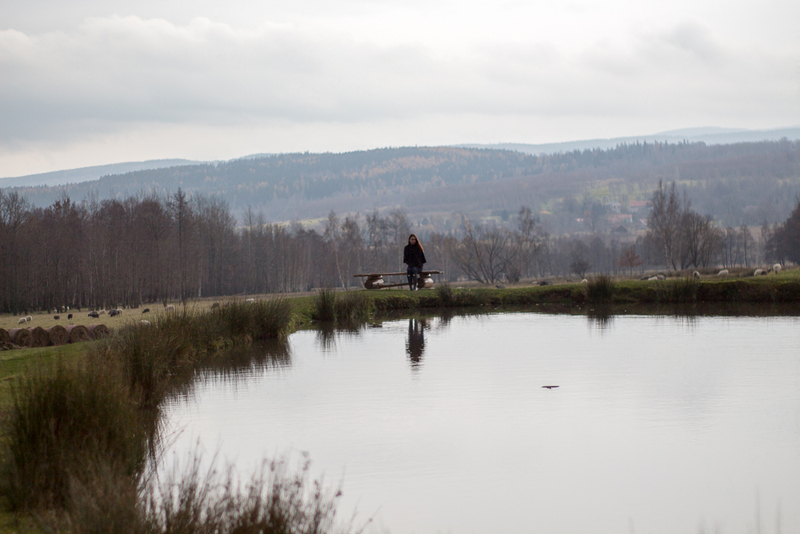 It is clear, that Uroczysko 7 Stawów places particular emphasis on health, fitness and well-being of its visitors. 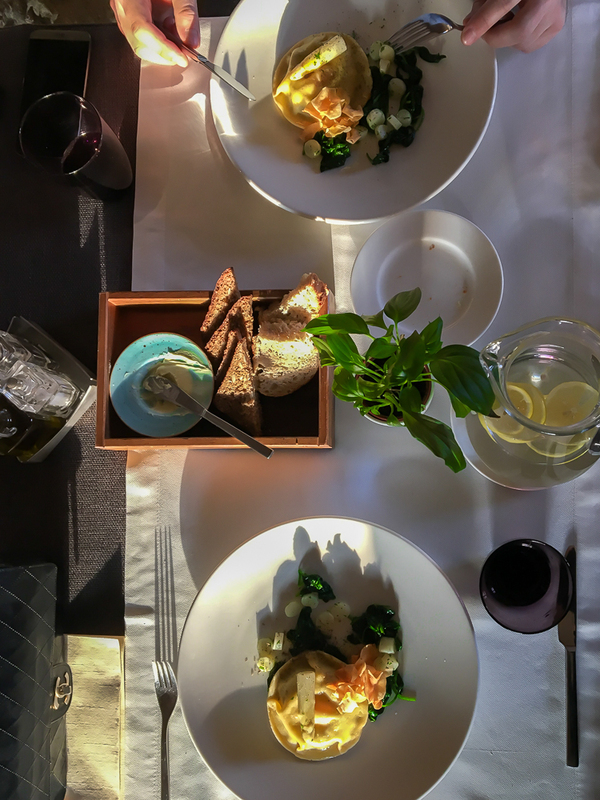 To me, one of the most important features was the hotel’s cuisine – delicious and sophisticated dishes made from locally planted ecological vegetables and herbs. The ingredients are carefully chosen by an award winning chef, who created some real pieces of art on our plates. We had a lovely ravioli with an egg yolk, topinambour and spinach filling topped up with some topinambour crisps, black truffle and asparagus. What is also important is that the hotel is located on a nature protection site as part of the EU Natura 2000 programme, which means the greywater system is used on the premises, and the restaurant uses vegetables and herbs planted on the hotel’s fields. Oh my! That cottage is so beautiful and seems so cosy 🙂 The bedroom in the palace is also stunning!! Oh wooooow, so many amazing impressions Girl! 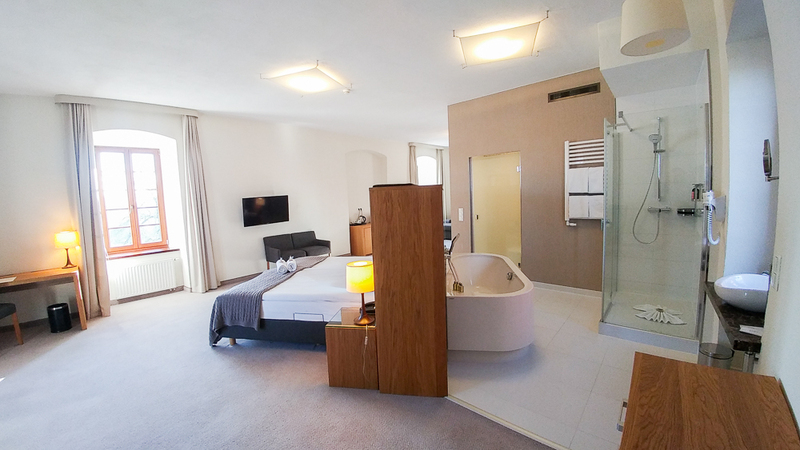 The bedroom and the bathtube look amazing! Amazing places! I would love to spend some days in one of them))). I love your drone photography! The spas look amazing! WOW!! this really makes me want to go! Looks like a beautiful place!! Straight out of a fantasy. These places look stunning! And I love that they tend to be in places where you can get out in nature. Wow, I didn’t know there are so many palaces and spas there! What beautiful places! I’d love to sit and enjoy several of those big bathtubs! Thanks so much for sharing these places. Your pictures really help me picture myself there! Poland is big on castles and mentions. Even a few of the castles we have in Ukraine are there because they were built by Polish landlords. So much to see! Ukraine is on our schedule for the next year 🙂 can’t wait! Your photos are amazing! I’ve spent a couple of weeks quick traveling through Poland, but wished I had more time to properly explore other parts of the country. This part of Poland looks less touristy and quite a gem! I must go here the next time I’m there! I love castles and I’ve been thinking of visiting Poland for a while now… so I guess I know what I’m gonna visit when I’m there! Your pictures are really beautiful. I’d like to that a night in an old house with all of the modern luxuries. These places are a dream! There is so much of Poland to be explored outside of the main cities. This post really shows the gorgeous buildings and countryside. Looks like you had the whole place to yourself! Looks so pretty, and great drone pictures! love your photos. That castle is gorgeous. Each one is so unique and gorgeous! I especially love Folwark and its more rustic look surrounded by mountains. However, Uroczysko 7 Stawów is a close second for me. I think the hardest part would be choosing among these. These palaces are incredible. I look seeing how they look on the inside and out…some of them are so different than what you would think after being remodeled. Great pictures! Amazing! I love the photos, that looks like it was a wonderful trip. I want to backpack through Europe one day and maybe I’ll get to pass through one of these locations. Oh yes, please do! Very European experience indeed! Looks excellent, gorgeous photos! Thanks for sharing these unique places. Oh wow! 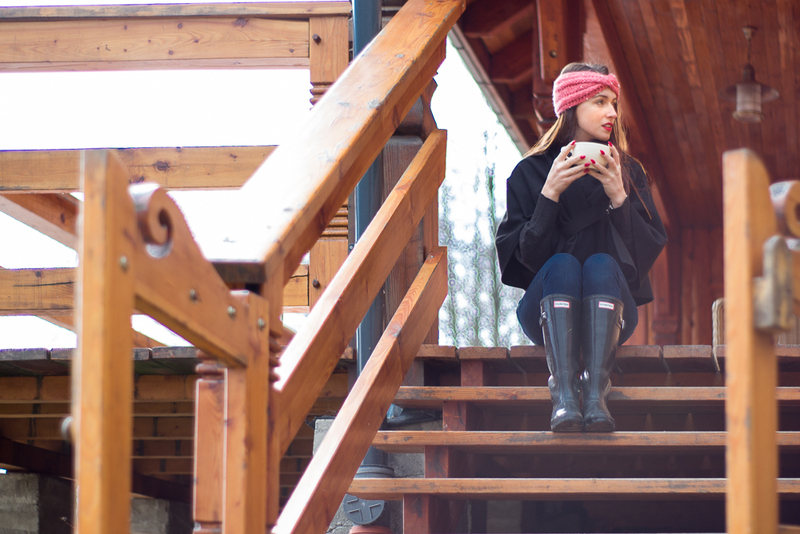 Those places look gorgeous & all so luxurious… I guess it’s time to plan a trip to Poland! I love hotels with a grand past and some of these are just gorgeous! I’d be keen to do a similar trip. Oooh looks so beautiful! I’ve only ever been to Krakow in Poland but I would love to go back and see more. Your photos look like you are in a fairytale. OMG you stayed at such beautiful places! These places are so beautiful! 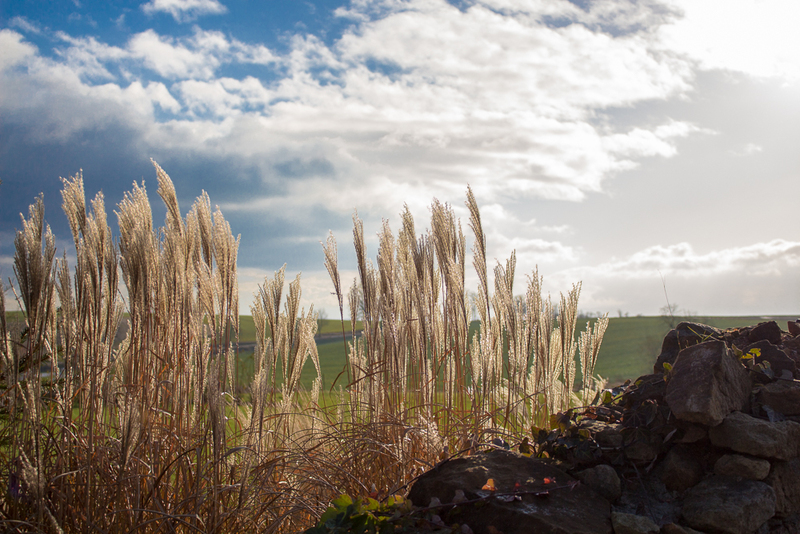 Totally relaxing in those countrysides, very stunning. Wow so magical, love it! 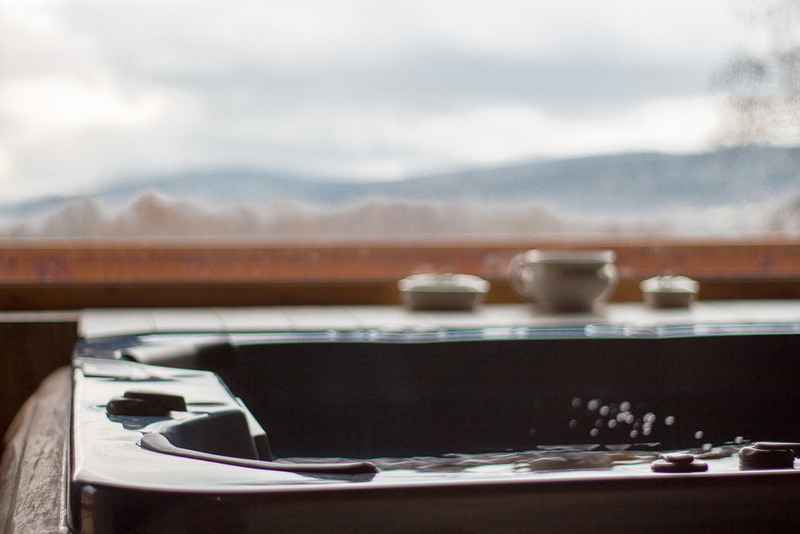 And those bathtubs, they look the best. Your pictures are beautiful! Wow, they’re all so unique and beautiful! Trust you had a great time. Wow so stunning babe, love your outfit with the red and black boots! These are truly stunning!! Wonderful picture and you just put Poland on my bucket list!! These places look incredible! I’ve never been to Poland but I definitely want to go now! What a beautiful country. This palace looks like the perfect backdrop for a Hallmark Christmas movie. I was living for that soak in the full sized tub. Glad you enjoyed yourself. Claudia, Gorgeous photos of you! Wow! There are so many great places in Poland! I would love to visit someday!